A.R.C.H.I.E. 2 is the adventurous sequel to the entertaining family film A.R.C.H.I.E. (Artificial Robotronic Canine Hyper-Intelligence Experiment) featuring Michael J. Fox as the voice of A.R.C.H.I.E. The fun begins when ARCHIE, Uncle Paul and their friend Sydney are flying to the family cottage to spend the summer. Sydney has convinced ARCHIE to be his ventriloquist dummy for his act at the Magical Mystery Carnival in town. 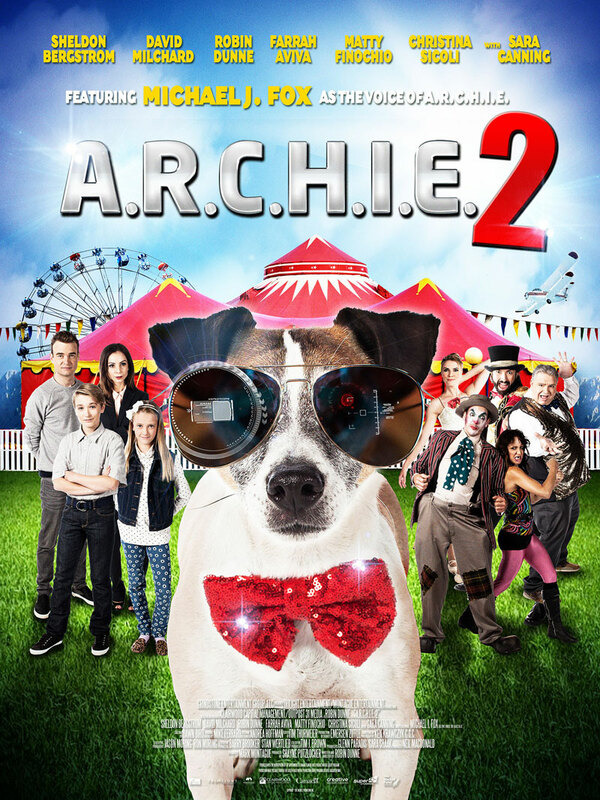 ARCHIE befriends Gregory, the young son of the carnival operator who confides in him that someone has been stealing from the carnival, in return, ARCHIE confides that he is tired of being different and wants to press the “DELETE” button on his hard-drive which would turn him into a regular dog. It’s a Big Top Adventure for ARCHIE and his friends in this exciting and fun family film as they try to solve the mystery at the Magical Mystery Carnival!